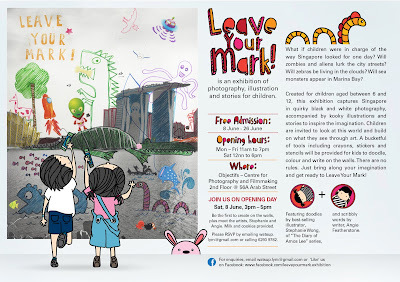 Our first Exhibition just for kids and the kid in you. It's on from the 8th – 26th June. Come and leave a part of you behind in our exhibition. Have your drawing along side mine, first come first serve. I'll be around with Angie on Saturdays, drop by and say hello.